As part of the fabulous New Zealand Book Council's Writers in Communities programme, I run poetry writing workshops. 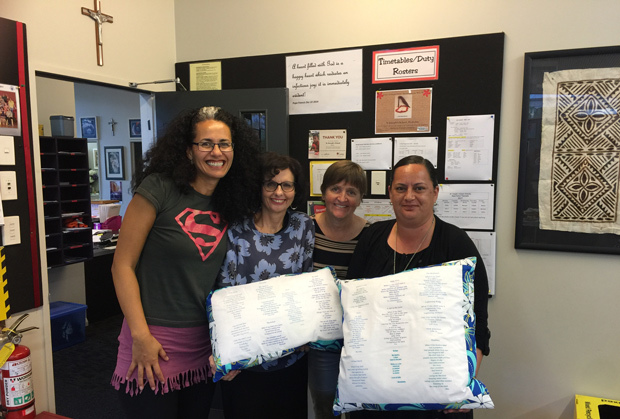 On my last day at St Joseph's school, I was presented with beautiful gifts, including these 'poetry cushions'. Making poetry fun, accessible, and meaningful is part of the mahi. One of the challenges is to shift students from using wholly abstract language to concrete, image-centred language. Here, students present me with poetry cushions, making the word material in more ways than one! Of course, behind great students are great teachers: Anne Kulik (thanks for your creative eyes and hands! ), Cathy Franich, and Michelle Timoti-Hohaia. 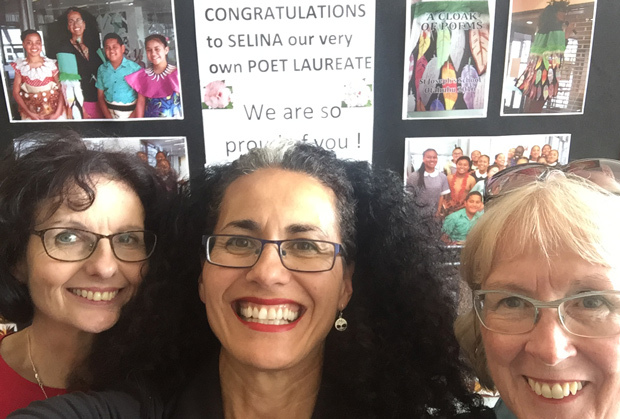 This award is received on behalf of many, as evident in the gorgeous Poet Laureate Celebration Board adorning St Joseph's School corridor. Magically working behind the scenes is star Principal Liz Horgan on the right (who has served St Joseph's for almost 3 decades and has taught multiple generations!) and Anne Kulik. The Women's Bookshop's annual Ladies' Litera-Tea festival, held over several weekends, is always packed out. 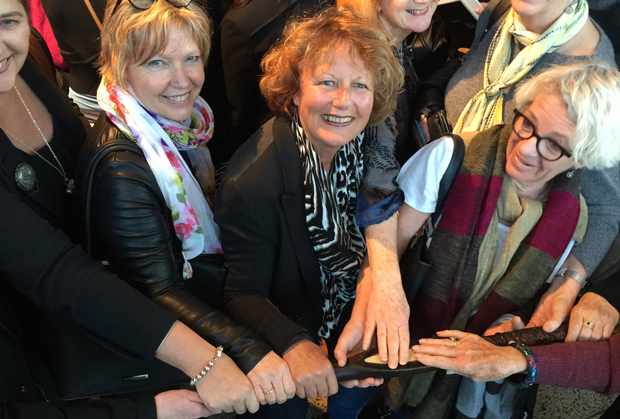 The indomitable Carole Beu and her passionate staff host 'an afternoon of women's words, wit and wisdom' at Epsom Girls' Grammar, Auckland. During my session on 3 September, newly minted, I began telling the tale of the Matua Tokotoko after which I handed it out so that participants might also touch and imbue the 'parents' with their good energy and mana.